Houston’s Race 4 Eight IV Stop #3 concluded with two scintillating finals, as a resurgent Sean Lenning challenged six-time Race champion Paul Brady and former top 8 pro Tyler Hamel challenged three-time Race 4 Eight Elite 8 finisher Naty Alvarado. 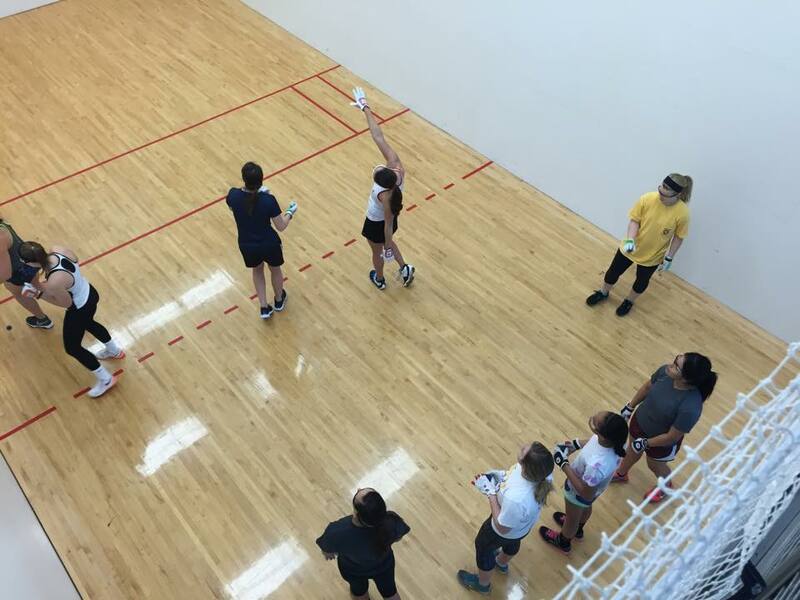 The WPH also held a special junior handball clinic for over a dozen collegiate handball players. Sean Lenning reached the #1 WPH Race 4 Eight ranking in January of 2012, but saw his ranking plummet in the past year. Lacking in confidence and motivation, Lenning’s ranking dropped to #9 entering Houston’s Race 4 Eight IV Stop #3. A rededicated and rejuvenated Lenning entered Houston on the heels of back-to-back first round losses in the “Space City” in 2013 and 2014, but tiebreaker victories over Vic Perez and Mando Ortiz and a dominating performance over Luis Moreno in the semifinals announced Lenning’s return to the top of the sport. Paul Brady entered Houston on an eight-match Race winning streak, capturing the first two stops of the R48 IV season at the Simple Green U.S. Open and Tucson. Brady’s overall Race record entering Sunday’s final was a staggering 27-1. “The Gunner” cruised to Houston’s final with two-game sweeps over Luis Cordova, Daniel Cordova, and Emmett Peixoto. Brady scored seven of the final nine points of the match to wrap up his third consecutive Race title and seventh overall Race title, 15-7, 15-5. Naty Alvarado was seeking his first Senior Race 4 Eight title of the season after dropping the SR48 final in Tucson two months prior. Alvarado faced Houston’s Tyler Hamel in a rematch of the inaugural Senior Race 4 Eight final in 2013, won by Alvarado. Although a part-time player in his early 40’s, Tyler Hamel still possesses the incredible skills that made him one of the most consistent and dangerous pros on the tour from the mid 1990’s until 2008. Alvarado is still ranked in the top five on the Race 4 Eight tour, a testament to his fitness, talent, and love for the game. Alvarado entered the final as the huge favorite and raced to a 9-4 lead in the one game final. Hamel employed his two-decades worth of pro tour experience and guile to stay within striking distance, tying the score at nine. Alvarado displayed glimpses of brilliance mixed with errors, executing 14 kill shots and making 13 unforced errors en route to a 15-11 halftime lead. Alvarado caught fire in the second half, building a seemingly insurmountable 23-15 lead. Undaunted, Hamel scored five consecutive points, including his 20th point on a left-handed Alvarado shank that seemed to indicate an Alvarado meltdown. Alvarado regrouped, earning a side out and scoring two quick points on laser reverse hops and first-strike kills. Marcos Chavez defeated Andy Schad in an entertaining third place match, 25-12. WPH Coach Ashley Moler led a group of 15 enthusiastic college and junior players in a special Junior WPH clinic focusing on the warm-up, footwork and strategy. “I really had a great time working with the group,” revealed Moler. 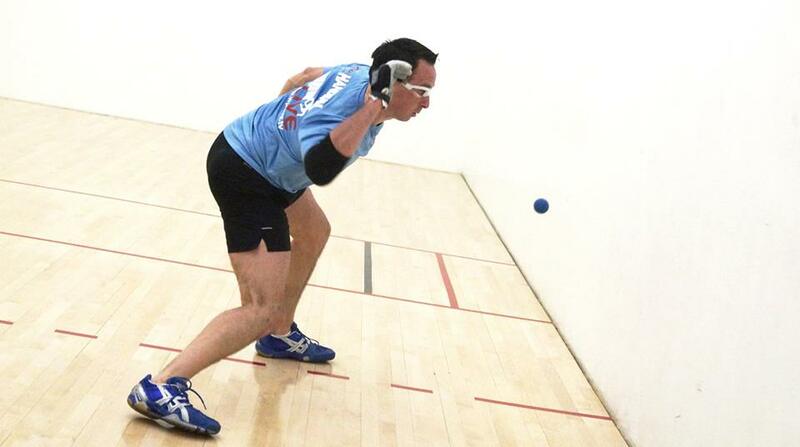 “Most of the players have only been playing for three months and they all got a lot out of clinic.” The WPH is proud to present junior and collegiate handball clinics at every Race 4 Eight stop throughout the year, as well as over 600 junior handball clinics across the U.S. and Canada throughout the year. Congratulations to Houston R48 tournament sponsor Ron Cole for being inducted into the Southwest Handball Hall of Fame. Ron Cole is one of handball’s most generous donors and staunch supporters. “I just love this game,” revealed Cole. “I have made friends with so many great people over the past 40 years and I was so fortunate that so many of them came to my induction this weekend.” Ron was inducted for not only generously donating his money and time to the sports, but also for winning dozens of national doubles titles with seven different partners. Thank you to Omar Lemus for organizing an incredible event, Ron Cole for so generously supporting the event and treating players and fans to several incredible evenings on the town, the Houston Handball Club, the WPH for broadcasting the event on ESPN, David Vincent, David Fink, Linda Manning, Kris Gurrad, Jeff Kastner, and Matt Titaino.